A Georgia woman was taken into custody after allegedly writing a Facebook post that reportedly incited people to kill white police officers, WXIA-TV reports. According to the news station, the Atlanta Police Department alerted police in East Point, Ga., once it was determined that the message came from that area and it was traced back to Dickens. 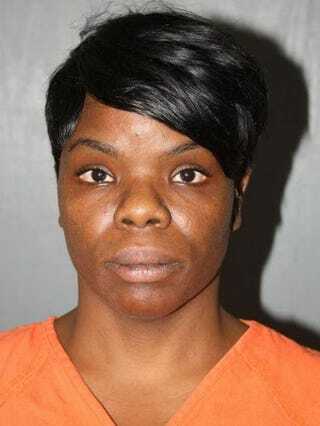 Dickens has been charged with one count of dissemination of information to facilitate terrorist threats and is in custody as she awaits her first court appearance, WXIA-TV notes. The post also drew the attention of the FBI and the Department of Homeland Security, who are investigating the case, according to the station. About 20 police officers have been injured in Baltimore during unrest following Freddie Gray’s funeral Monday. The unarmed, 25-year-old black man suffered a nearly severed spine while in police custody April 12 and died a week later.